Visually see who is calling before you answer the phone, and then decide if you want to answer or let it ring to voicemail (or Call Forward No Answer, if activated). See who is calling before you answer the phone. 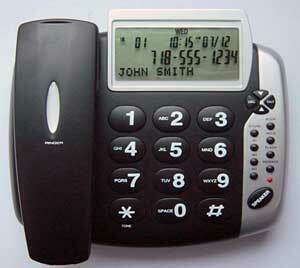 Even when you are on the phone, the call display will show you who is on Call Waiting (if enabled).